In most of my recent client meetings I am being reminded that retirement is an outdated term. We try to use the term “transition” but that does not fit as a good description either. However; finding the right word is not the real issue rather it’s finding the right approach, process and attitude that is really important. If you are miserable now, retirement will probably not make you happy. Is your job really that bad? Probably not. If you are established, experienced, and good at what you do, there must be some parts of your day gig that are enjoyable. Focus on doing the things you enjoy in your job to get your attitude in shape. Looking to retirement as a solution to all of your problems is dangerous and unrealistic. Practice your retirement today while you are still working. Take time off and do the things you see yourself doing in retirement. Whether it is volunteering, travelling or consulting you should not wait to try these things on for size. Like anything, if you practice it makes you better! Talk it out with your spouse and your planner. By far the best meetings that occur in my office are the ones where husband, wife and I walk through the retirement process. Everybody needs to be onboard, communicating, and engaged early on in order for everything to work out successfully. Plan on being busy; maybe busier than you are today. Know your priorities and values so you can make good decisions with your time. Do you want to help raise grandkids, do you want to travel the world……or do you want to learn how to play the banjo? Just like any other stage of your life, your time will be a valuable commodity so use it wisely toward the things that really matter. Make your health a top priority. I am seeing more and more studies that demonstrate good health as the top predictor of successful retirement. Unfortunately, our bodies eventually wear out and things (long term care, hospitalization, medications) get expensive. Take care of your body so you can maximize the fun part of retirement and minimize healthcare costs. We can apply this list to any stage or transition. The earlier we learn to apply these things, the better our retirement and our lives will be! 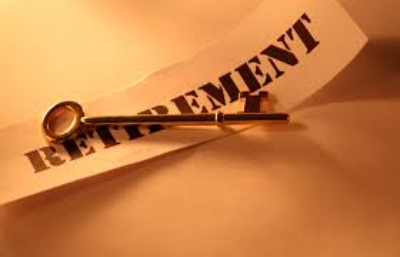 Retirement is the culmination of our life experiences; that’s what makes it different from other transitions.